Here are some Yankees pictures to celebrate their AL East Division title! Above is the starting pitcher for Tuesday night's game against Los Angeles, and to the right is Yankees star closer Mariano Rivera! This past weekend was the biggest series on New York's and Boston's schedule for the 2005 season. It came down to who was going to win the American League Eastern Division, and who would squeak into the playoffs on a wildcard spot. In fact, that wildcard spot was only available because of an Indians' loss to the Chicago White Sox, allowing the loser of the New York/Boston game to continue their season in hopes of a World Series championship. On Friday 9/30, the Yankees lost to Boston, 5-3, as Wang allowed 5 runs while walking six batters. This caused a tie in for first place in the AL East, making Saturday's game HUGE. Oh, and for all you Derek Jeter fans out there like myself, he did hit a two-run home run on Friday night! Saturday's game could not have turned out better for the Yanks. They scored three runs in the first, two in the second, and one in the third as they hung on to beat Boston for their, yes this is true, eighth straight AL East title. The Yanks won this title over the Sox because although they have identical records, the Yankees have the advantage in the season long series, winning 10 games to Boston's 9. This is dedicated to everyone who thought that when the Yankees were in a slump a few months ago and were not thought of as playoff contenders. That is one thing that is consistent in baseball; one can never count the Yankees out. Yes they may have not won a world series in a few years, but they have been there and have come close. On Sunday, the Yankees lost 10-1, with only "Godzilla" Hideki Matsui scoring for the Yankees. However, because of this loss, they lost their home-field advantage during the playoffs. To look forward to the playoffs, the Yanks take on the Los Angeles Angels in California beginning Tuesday night at 8 p.m. eastern time, and then again on Wednesday at 10 p.m. eastern time. Tuesday matches up The "Moose" Mike Mussina against quite possibly one of the best pitchers, Bartolo Colon. For the Red Sox, they are slated against the Chicago White Sox, beginning Tuesday as well. Let us hope they make it past the Angels, who the most recently played July 31 and took two of three from them at the Stadium in the Bronx. This should be a quality match up with hopefully a Yankees Victory! Nicole, that is so awesome that you figured out how to create your own poll and post it in your blog~ very creative! This weekend’s baseball was amazing. Friday’s game was so close and lead to huge anticipation for Saturday’s game since the Yankees were tied with the Red Sox. I am so excited they won and are now entered in the Playoffs. Sunday’s game was a bit disappointing, but hey, everyone has their bad days. I am really looking forward to tonight’s game against the Los Angeles Angels. 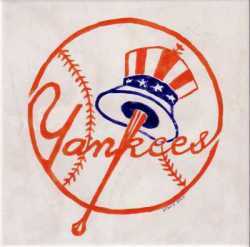 I’m sure the Yankees will kick their west coast butts! GOOO YAAANNKKEESS. That poll you inserted into your blog is quite impressive. I'll have you know it that I still showed my dedication towards the Phillies and voted for them to win the World Series. Anyway, I'm sitting here and watching the Yankees' game 2 as we speak. 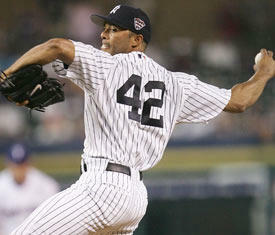 If the Yanks are able to head back to New York with 2 wins, would you say this ALDS series is over? Also, as of tonight Boston lost again leaving them down two games to none. Even though you strongly dislike the Red Sox, don't you want to play them in the ALCS for a chance at revenge? I also feel that that would make for a great championship series. It's something about the Yankees vs. Red Sox that always makes baseball more exciting, let alone the championship series. Congratulations to the Yankees on winning the American League East Division Title. At first I was a little scared that it would come down the the wild card, but after the Yanks win against the Red Sox,although they had identical records the Yankees had one more win against the Sox in their season series. I don't think anyone realized that this game would be the deciding game for the Yankees. I thought it would come down to the last game of the series, but luckily it didn't. I am looking forward to the post season. I really think the Yankees will be able to beat the LA Angels. I also think the Red Sox will have a very hard time beating the White Sox who have been very consistent this year.